S.T. 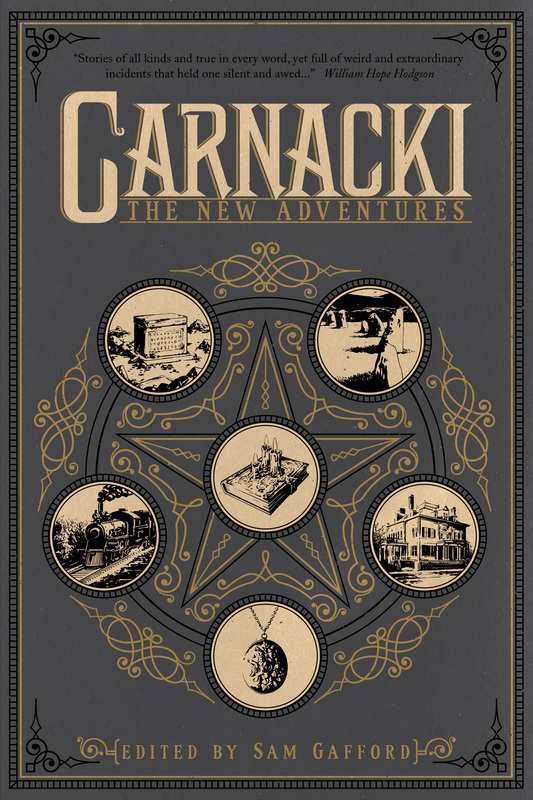 Joshi has kindly sent me a copy of his review of CARNACKI: THE NEW ADVENTURES which will be appearing in an upcoming issue of DEAD RECKONINGS from Hippocampus Press. It is a very favorable review and S.T. says many nice things about the various contributions in the book. Coming from S.T. Joshi, it is great praise indeed! Carnacki, the Ghost-Finder (1913) is far from being William Hope Hodgson’s best book, but it has emerged as one of his most popular. Perhaps this is not surprising. Although the short novel The House on the Borderland (1908) is perhaps Hodgson’s signature work, with its unforgettable central section depicting the narrator’s drifting through spectacular cosmic vistas of space and time, Carnacki has the appeal of a charismatic recurring character and exemplifies the provocative fusion of two seemingly disparate genres—the supernatural tale and the detective story. It may be true that Hodgson deliberately catered to popular taste in his creation of the occult detective Thomas Carnacki—he published the first Carnacki tales in the Idler in 1910, only two years after Algernon Blackwood’s John Silence—Physician Extraordinary reached the bestseller lists—and it may also be true that some of Carnacki’s bag of occult contrivances (such as the Electric Pentacle and the Saaamaaa Ritual) are almost self-parodically comical; but it is equally true that no one, to my knowledge, has written John Silence pastiches, whereas the book under review is only the latest contribution to a growing body of new Thomas Carnacki adventures. I will advise when the review is published. By that time, the 2nd edition of the book will be available so this seems as good a time as any to remind everyone that the 1st edition will be removed from Amazon tomorrow (4/15/14) so if you haven’t gotten a copy and want one of the soon to be scarce first edition, you have about 24 hours to order one!